Some have opined that caudal traction of the spinal cord may result in caudal descent of the hindbrain. In fresh adult cadavers (n = 12; less than 6 h postmortem) with no CIM, distal tension (75 N) was applied to the conus medullaris with simultaneous observation of the cervical spinal cord, brainstem, and hindbrain and their relationship to the foramen magnum per occipital craniectomy and removal of the posterior arch of C1. After lumbar laminectomy in cadavers, caudal tension on the cord (conus medullaris) demonstrated negligible movement (less than 1 mm) of the caudal brain stem and cervical spinal cord. No movement of the cerebellar tonsils was identified. Moreover, after transection of the lumbar dural cul-de-sac and lumbar spinal dural nerve sleeves, distal traction produced only 2 to 3 mm of caudal descent of the brain stem and cervical spinal cord. Again, no movement of the cerebellar tonsils was visualized. 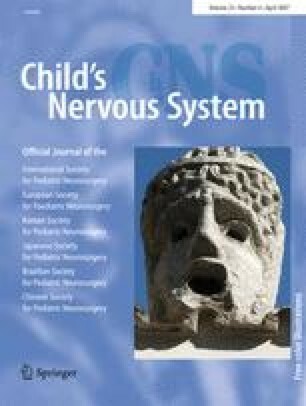 Our findings in a fresh cadaveric model suggest that it is unlikely that caudal fixation of the distal spinal cord results in inferior displacement of the cerebellar tonsils, and a resultant Chiari I malformation or that transection of the filum terminale may reverse tonsillar ectopia. In vivo animal studies are now necessary to verify our findings.